Hi! I will share you another do it yourself project! I like my house and home decoration ideas which are really interesting. I always improve myself on these projects with new ideas and using new items. Before creating new things, I usually do my searches and my imagination. And then, I change and renew my house! These things that make me focus on my house and home decoration are relaxing me and also opening myself for more new ideas. Thus, you will have been changed your house and make it more beautiful for yourself. Before you start, you should separate your old stuff, furniture and other materials among them for those kinds of changes. This makes us work properly and easily. After that, we will need our imagination on our old stuff and materials to create different pieces or renew them. Imagination and quality of your materials that you would like to use for renewing state your professionalize on this hobby! Now, time to describe how to produce a lampshade made of pencil. Why I would like to do it? Because, having too many pencils at home helped me to have this idea. My children like to paint and write by pencils. Therefore, we have several pieces and kinds of pencils at home. But, I noticed yesterday that I have already bought too many pieces of pencils and we can say I have a very big pencil collection! 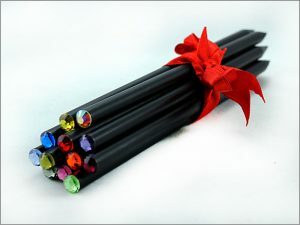 Immediately, I wanted to evaluate all these pencils by creating a new material for daily usage. After a small search and imagination, I decided to work on our old lampshade which really needs to be repaired and renewed. 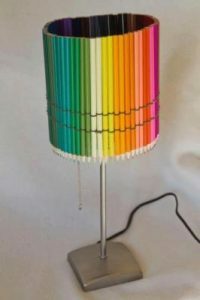 Pencils, lampshade, glue! That’s it! 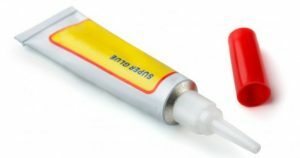 Let’s start how to do this easy repair with these few materials. 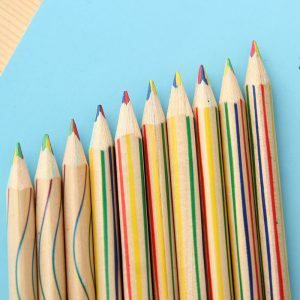 Let’s prepare the pencils as per their sizes and colors. Then, we will stick them on lampshade by using the glue. Now, we need to wait for drying. After it gets dried, it is ready to use! 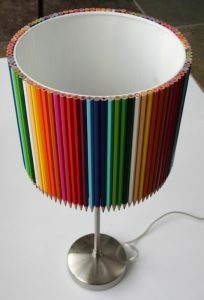 Here is the newest lampshade made of pencils! As you see, it is very easy to change your house without paying any money! There is always other solution!